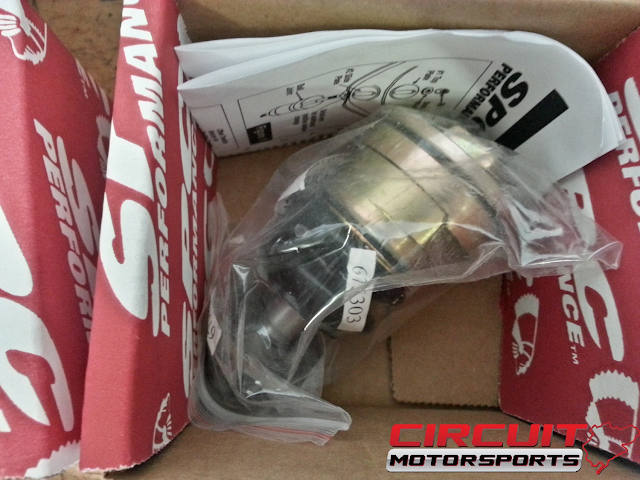 As you may already know we are a stocking dealer of SPC performance parts. 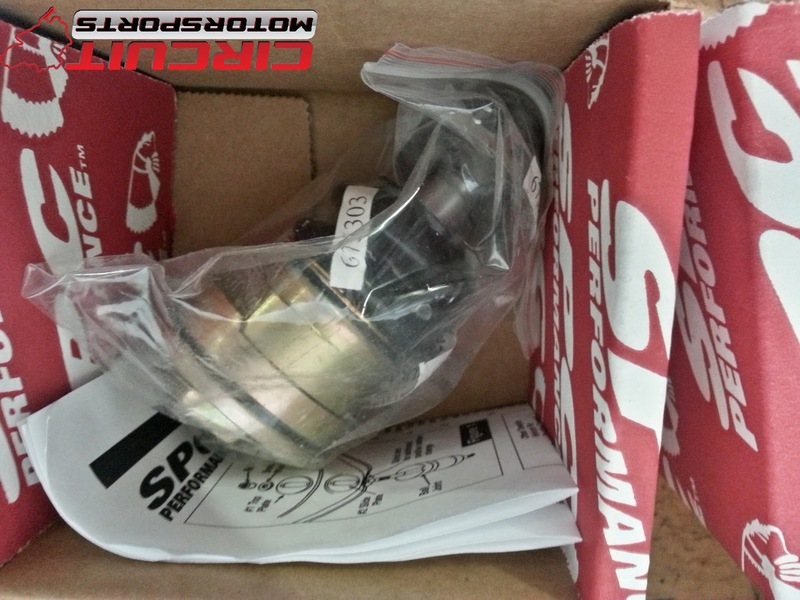 So we are going with the SPC Front ball Joint Camber kit on our customers 07 Lexus IS350 as his camber is out of spec due to lowering springs. The SPC front ball joints will fix this! Wheels off. Lets take a closer look at the factory ball joints. These are the non adjustable factory ball joints that are being replaced with the SPC adjustable unit. SPC camber adjustable ball joint! 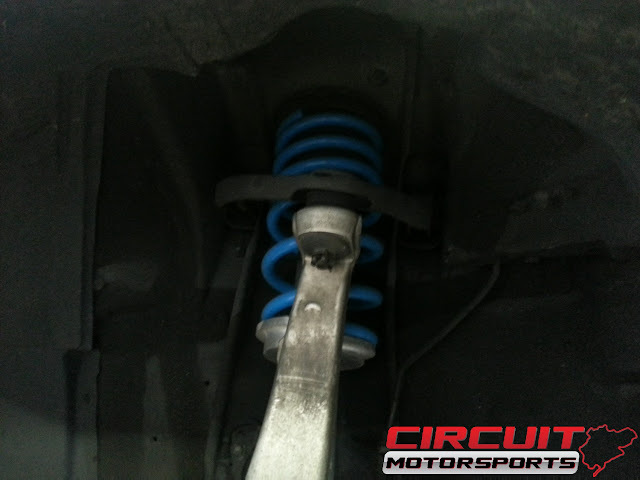 After installing the SPC ball joints the customer's alignment got back into perfect spec. 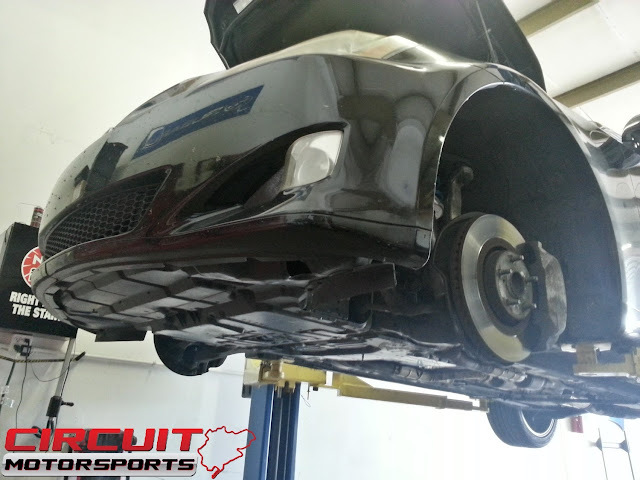 Yet again do Circuit Motorsports & SPC save the day!